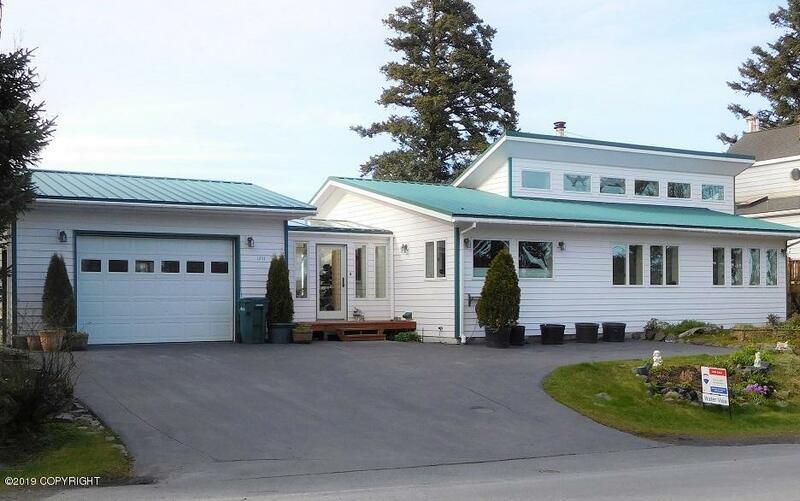 1711 Mission Road, Kodiak, AK.| MLS# 19-5505 | RE/MAX of Kodiak - Alaska Real Estate - "Honesty & Integrity...It's That Simple!" Custom-built lake front home PLUS ocean view, features: sun room and master bath have tile floors w/radiant in-floor heat, open living rm, fam rm, dining & kitchen all w/vaulted ceilings & lots of 'clerestory' windows allow light to flow in. Lg. Mst. B/R w/walk-in closet. Beautiful hardwood floors throughout, built-ins, pellet stove, blinds and more!